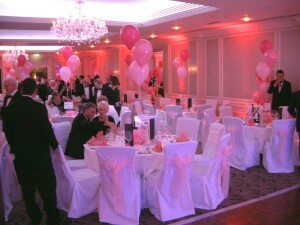 We now supply chair covers and sashes aswell as many other types of room decorations like balloon table arrangements / balloon arches & freestanding pillars / flower displays / fish bowls / table cloths & runners / bird cages / wishing tree’s / card boxes / sweet tree’s / personalised ribbons & banners and much much more. 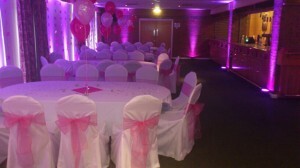 This makes ‘Ultrasound Disco’ a one-stop shop for all of your party and celebration needs. Give us a call to discuss your requirements or if you have a ‘picture’ in your head of what you want your venue to look like, we can give you ideas and inspiration on how to achieve it. 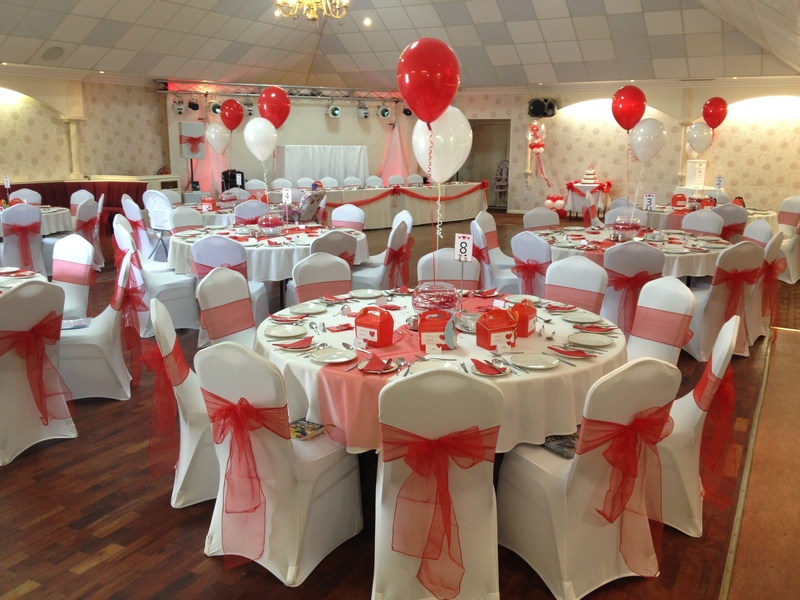 Our chair covers are available in white material, white spandex or black spandex and fit virtually all types of banqueting chairs. 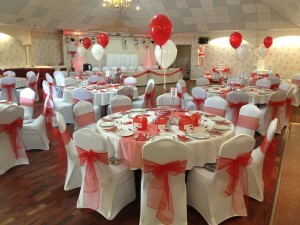 We also have a large selection of organza and satin bows / sashes to complement your celebrations colour or theme. 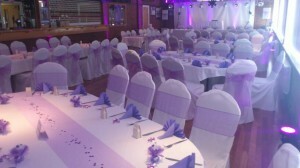 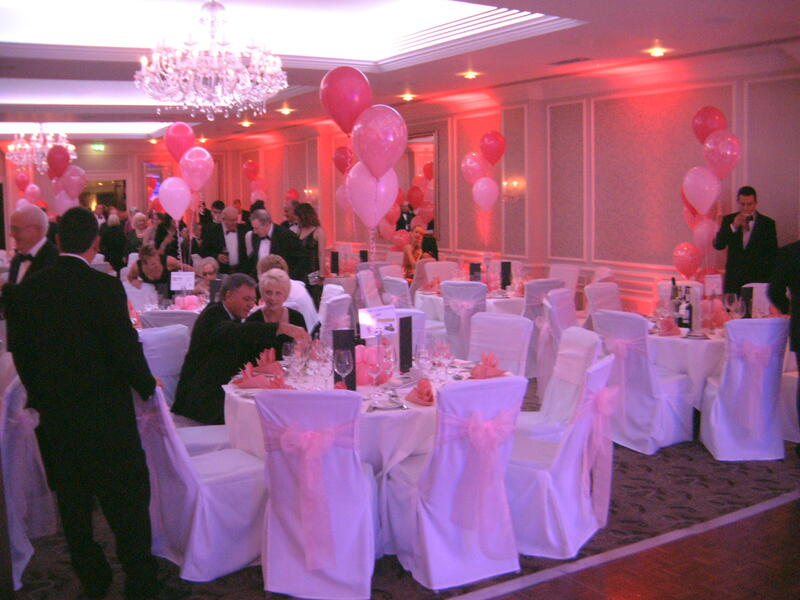 Chair covers can completely transform the look of a venue and are supplied & fitted, freshly cleaned and pressed.